Easy and quick check in. Worked in a pinch as we got stuck on the island due to windy weather causing ferry cancellations. 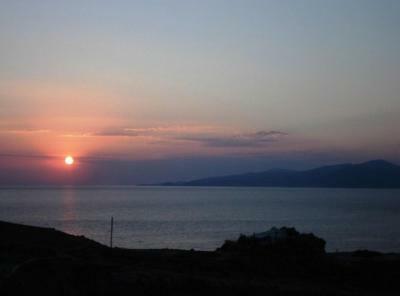 Everything ... located in agios stepanos , 5 Min walk to beach, restaurants, shops and bus. Staff was very helpful. 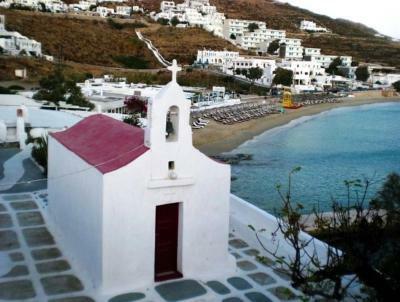 It was close to the beach and far from the commotion but close enough that if you wanted to be in the heart of the commotion, you could take a bus and in not even 10 mins you’re in the centre of Mykonos. Good value for money for the room. We were met at the ferry port (for 8 Euros) and dropped off at the airport (for 20 Euros), which it would appear is the going rate for anyone to drive you anywhere in Mykonos. The hotel and room were clean and quite adequate, with a fridge in the room. The location near the beach, especially as I had to stay an extra day due to a ferry strike. The staff were all really friendly and helpful, and my room was fine,with a little balcony. 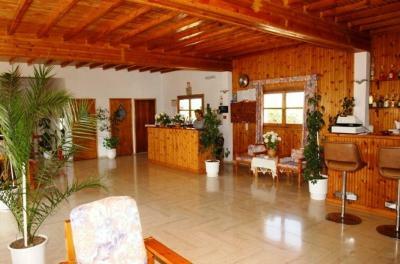 Friendly simple accommodation, good welcome and assistance. It's a good-value quality - price. 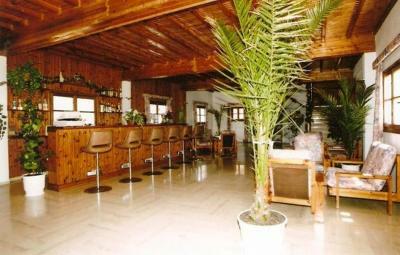 This hotel is located in a little hill and you have the beach(which is quite and very nice) in just 2 minutes by foot. Rooms are pretty good. The only thing we don't like was the bathroom... Was very shabby . The service was very good and owners were very nice. Panorama Hotel This rating is a reflection of how the property compares to the industry standard when it comes to price, facilities and services available. It's based on a self-evaluation by the property. Use this rating to help choose your stay! 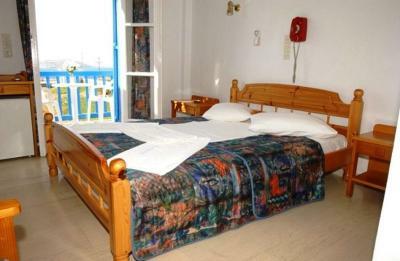 Located just 500 feet from sandy Agios Stefanos Beach, Panorama offers free Wi-Fi in public areas and free transfer from Mykonos Airport and port (see policy). 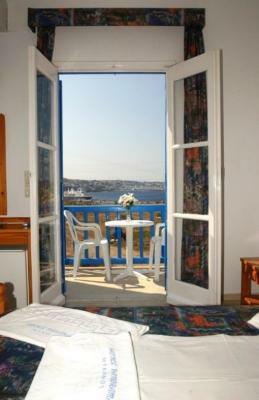 Rooms have a furnished balcony or patio overlooking the Aegean Sea or the gardens. 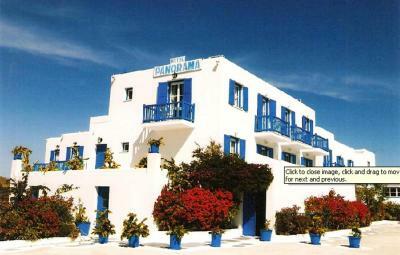 Rooms at the Cycladic-style hotel Panorama are equipped with air conditioning, fridge and a satellite TV. Each has a private bathroom with shower or bath. Continental breakfast is served in the dining room. Guests can also enjoy light meals, coffee and drinks at the on-site snack bar. Staff at the 24-hour front desk can provide information about the island and various excursions in the area. Car and motorbike rental services are also available. Agios Stefanos has restaurants and little cafés. 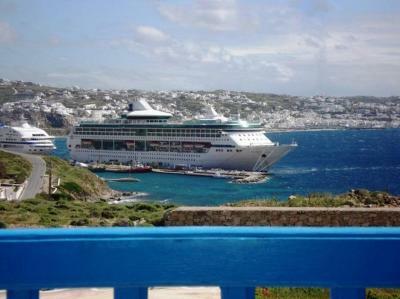 The new port of Mykonos is at 1,950 feet and the center of Mykonos Town is 1.6 mi away. A bus stop is 350 feet from the hotel. Ftelia Beach, famous for its windsurfing facilities, is at 5 mi. Free private parking is possible on site. 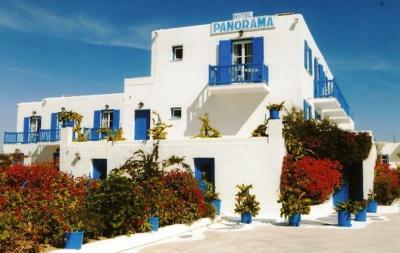 When would you like to stay at Panorama Hotel? 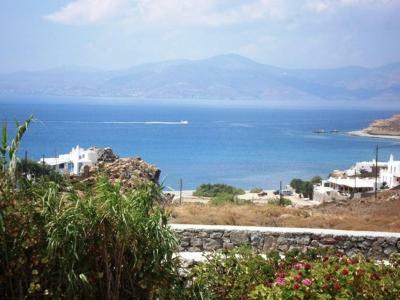 Offers Aegean Sea and garden views. This room type cannot accommodate an extra bed. 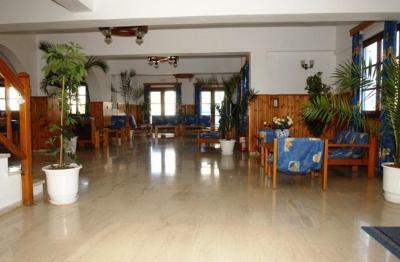 Offers Aegean Sea and garden views. Features a porch with views of the grounds. Please note that some triple rooms can accommodate an extra bed. House Rules Panorama Hotel takes special requests – add in the next step! One child from 4 to 12 years is charged 15 % of the room stay per night and person in an extra bed. 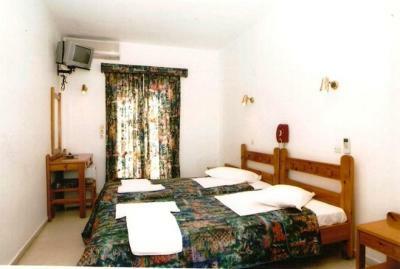 One additional older child or adult is charged 20 % of the room stay per night and person in an extra bed. Panorama Hotel accepts these cards and reserves the right to temporarily hold an amount prior to arrival. Free transfer from Mykonos Port is available to guests staying for 3 days or more, and free transfer from Mykonos Airport is offered to guests staying for 4 days or more. Guests who would like to use this service are kindly requested to contact the property in advance. bathroom did not have shower curtains, window that leads to corridor could not be closed. door and windows security could be better. not having wifi in todays world is not a good thing. The staff were quite formal and not very easy going. IT wasn’t stated clearly enough on booking.com that transfers weren’t included If you weren’t staying for longer than 3/4 days had to pay. Beds weren’t that comfy, only one bin, no water, no hairdryer, only one plug socket, loud doors with the wind, shower curtain/rail kept breaking. There was no shower curtain so the bathroom got fairly wet. Bed was not very comfortable Didn’t even want to step into the shower Room was filled with ants when we woke up Noise from the hallway carried into the room easily Lots of other noises from upstairs and water flowing through pipes in the walls Pillows were very flat Overall felt very cheap but you get what you pay for TV was super tiny and not a flat screen. Smaller than a laptop screen. If you move the chairs across the floor they screech like a banshee. We could hear people in other rooms moving them, too. Bathroom was very shabby. Please if you reform them you improve the quality. I disliked the attitude of the Staff, the crime that is the price they offer for a night in the hotel, the distance between the hotel and the port and the center, which is not the one they announce in the description. I disliked the fact that I had a fabulous view to the back garden, the fact that you have to pay for a shuttle to the port and hated the spacious 1 square meter bathroom. The cherry on top of the cake was that there was no Wi Fi in the rooms, and they do not accommodate any requests apparently. I had important work related stuff I had to do in the night, and couldn't because there was no internet. I asked the staff to please move me to a room where there was a connection and they failed to accommodate me. There is no close beach to the hotel, unless you like to bathe in fuel, in that case you can go to the "beach" near the port. There is nothing in particular I liked. People in front desk were really helpful and polite. 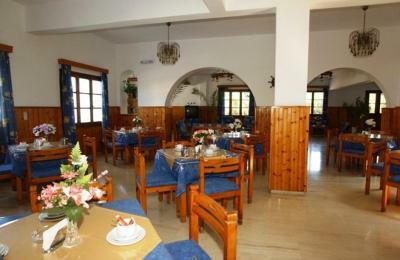 Staff very friendly and helpful, rooms very clean, sheets and towels changed daily. The building is old and shall be renewed. The staff in the morning might wake you up trying to contact people in rooms nearby yours by mistake .